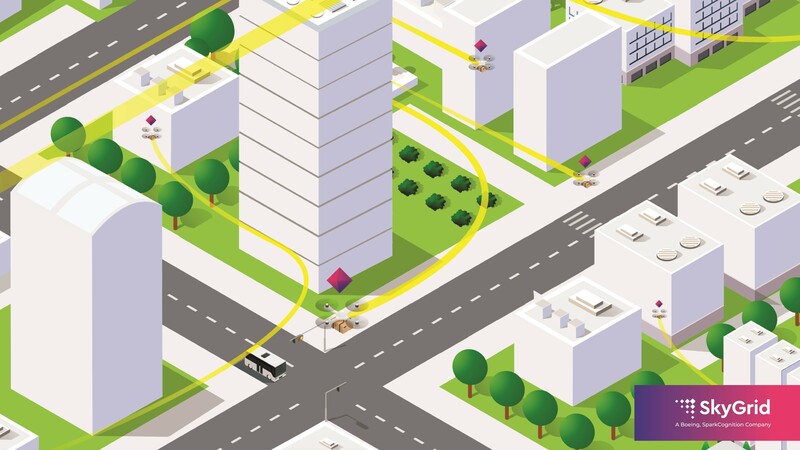 Four months after announcing that they were linking up to create a traffic management system for drones, Boeing and SparkCognition say they’re kicking things up a notch with a new venture called SkyGrid to address the broader challenges associated with urban air mobility. SkyGrid aims to develop a software platform that will facilitate the smooth integration of autonomous cargo craft and passenger air vehicles in the global airspace, the two companies said today in a news release. The platform will go beyond drone traffic management to handle a wide range of tasks involving unmanned aircraft systems, including package delivery, remote sensing, industrial inspections and emergency assistance. This entry was posted in GeekWire and tagged Aviation, Boeing, Drones, SkyGrid, SparkCognition, Technology, Transportation. Bookmark the permalink.